The “future of radio”, an alternative to a weekly newspaper or simply the most important source of information for over 100,000 people: Die Lage der Nation (The State of the Nation) is one of the most successful political podcasts in German. Every week, journalist Philip Banse and legal scholar Ulf Buermeyer review political affairs in Germany and around the world in a detailed, analytical, and entertaining way. 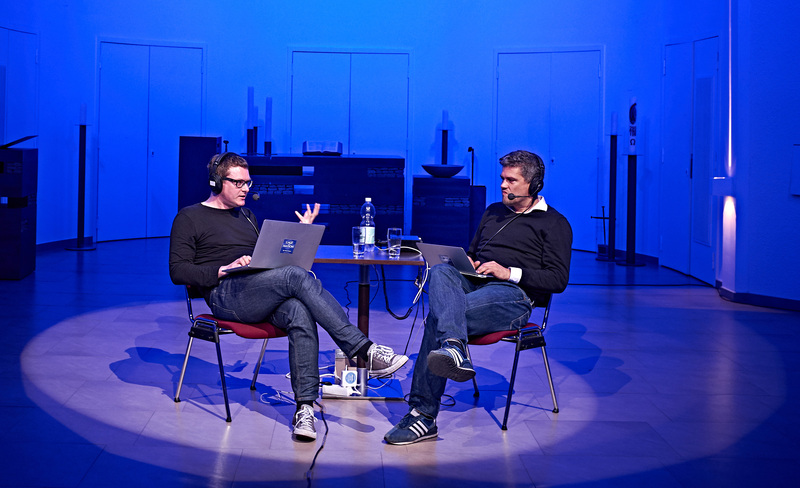 The event at HKW offers an opportunity to be there as Philip Banse and Ulf Buermeyer produce their podcast live, answer questions and talk with the audience.